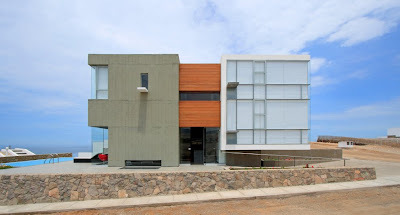 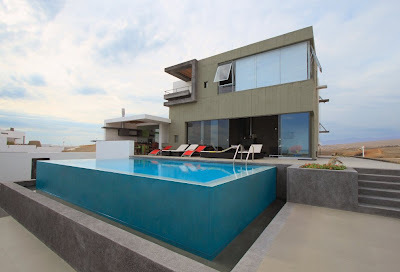 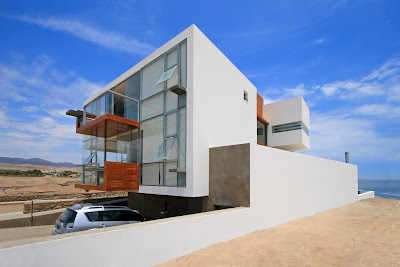 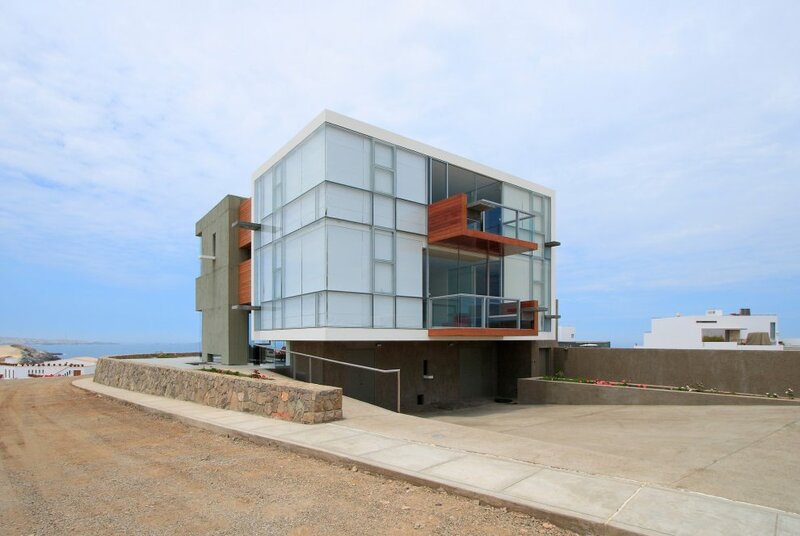 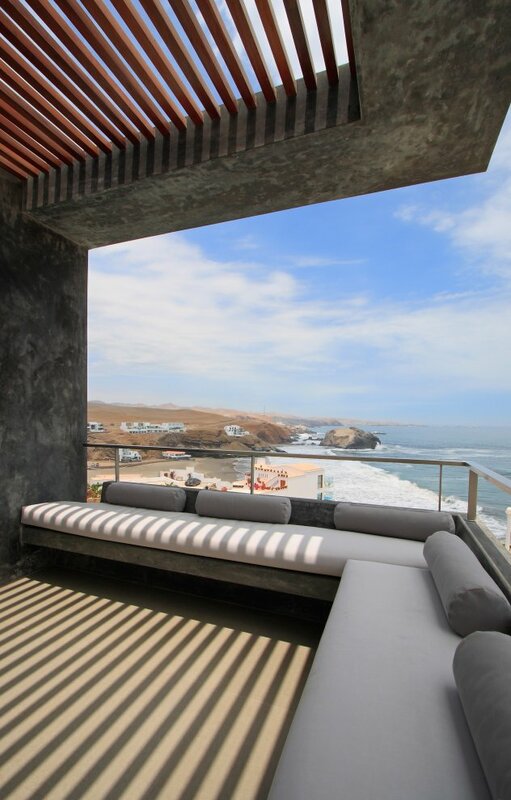 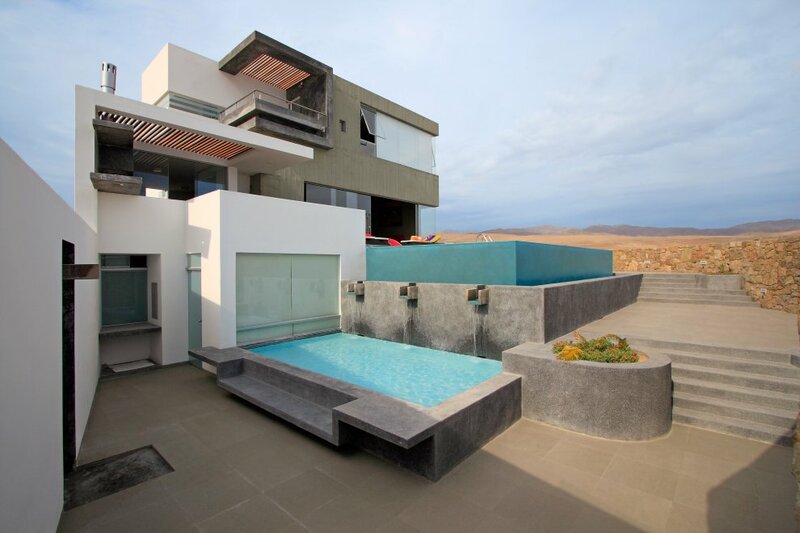 Two volumes of the coastal home design crown the top of a hill at beach community Playa Misterio in Peru. 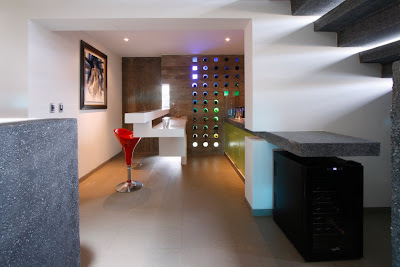 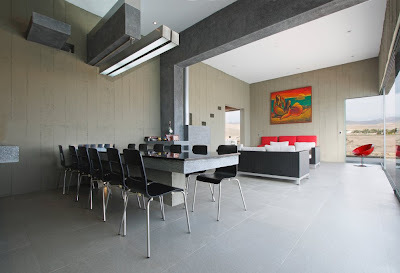 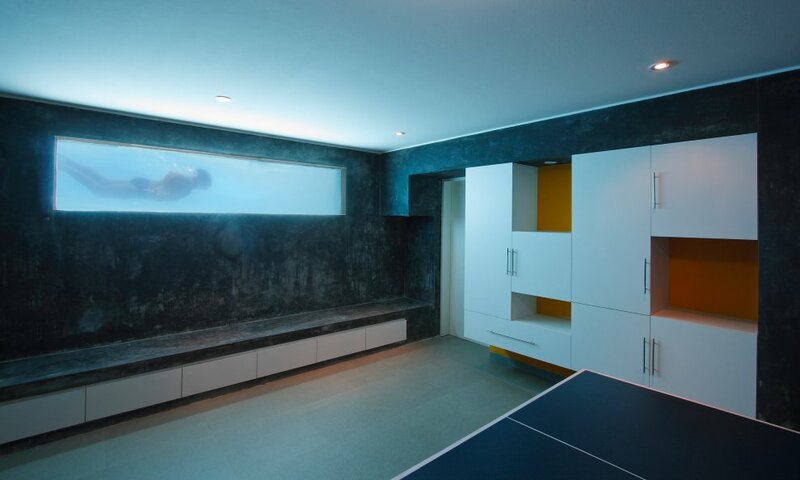 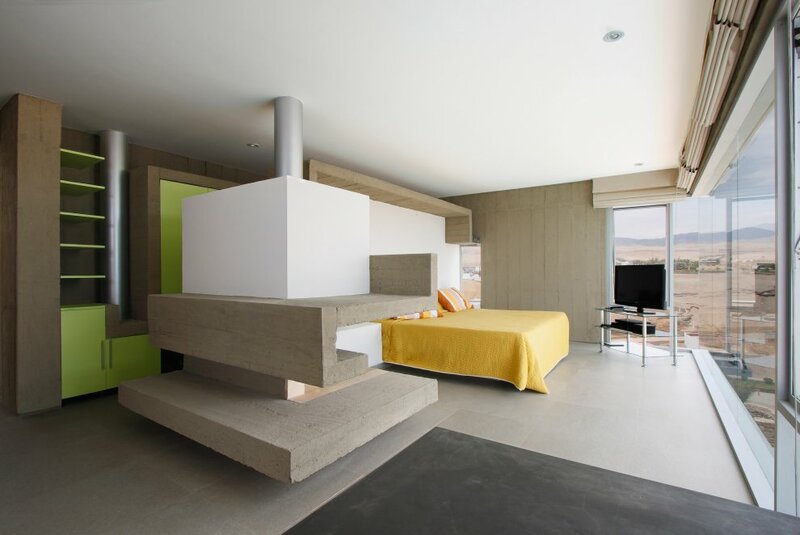 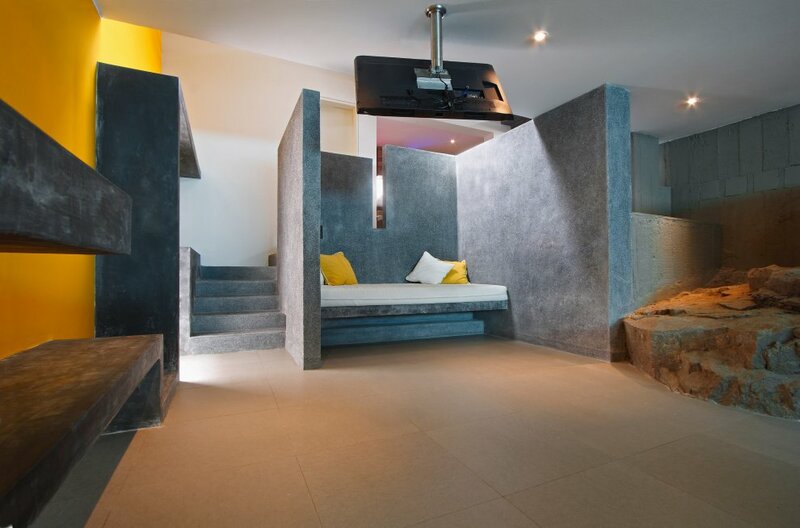 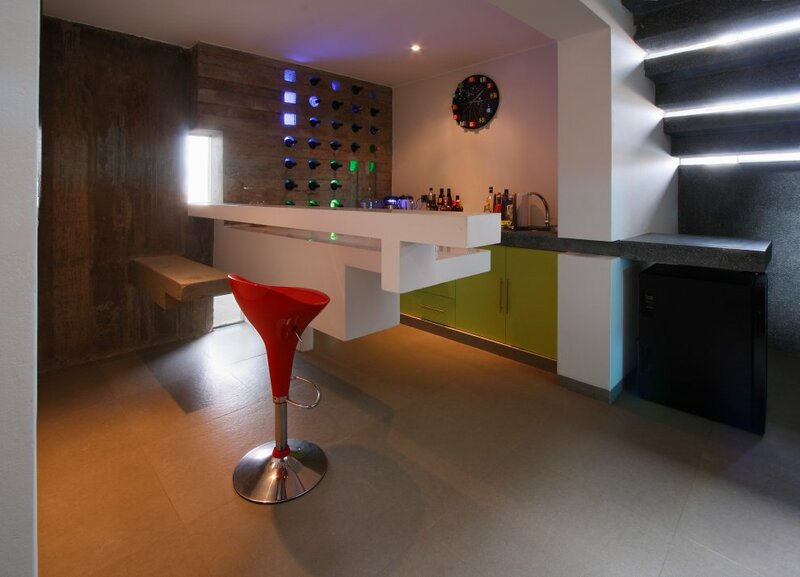 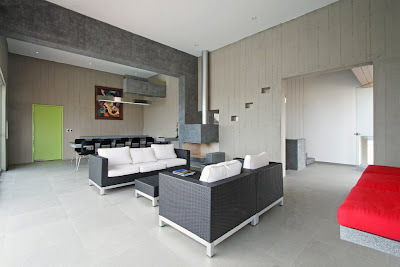 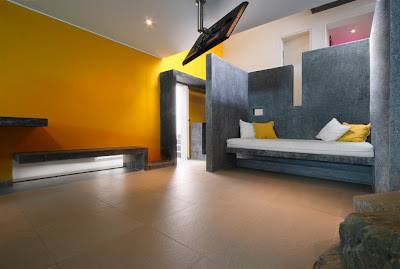 The “concrete block” accommodates the master bedroom at the top and the social space in its lower levels. The “glass block” includes the children’s space in two levels. 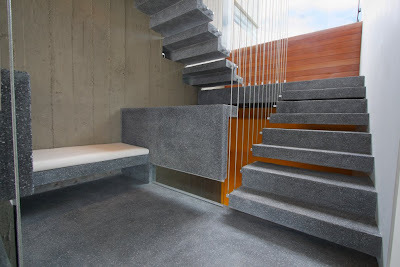 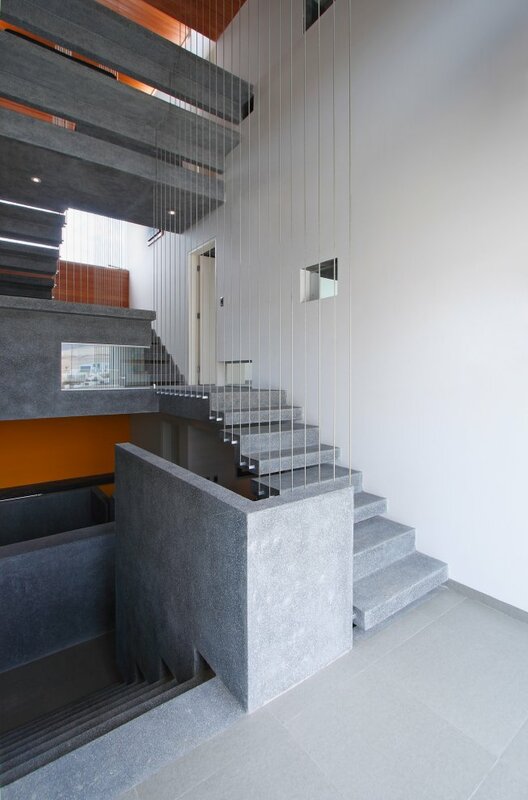 The volume between the spaces is occupied by a staircase block that connect the hard appear of exposed concrete to the soft look glass surface provoking light and shadow effects.